The Tailored Design Method (TDM) was conceived in the early 1970’s as an approach to designing mail and telephone surveys that emphasized giving attention to all aspects of questionnaires and survey implementation procedures experienced by recipients of survey requests. It was proposed that the likelihood of obtaining questionnaire answers was greatest if the survey designer simultaneously focused on reducing costs, increasing benefits, and engendering trust that the expected benefits of responding would outweigh the costs of responding. The TDM was formulated as an extension of social exchange theory, a sociological theory used to explain why individuals are motivated to engage in certain social behaviors and not others. Applied to surveys it emphasized writing questionnaires that included interesting questions that respondents would see as useful and easy to answer. It also emphasized providing explanations of how answering the survey would be useful to others, personalized correspondence (a significant challenge to the printing technologies of that time), and several coordinated contacts; Emphasis was also placed on establishing the legitimacy of the survey by providing contact information and creating trust that the survey results would be useful when the survey was completed. 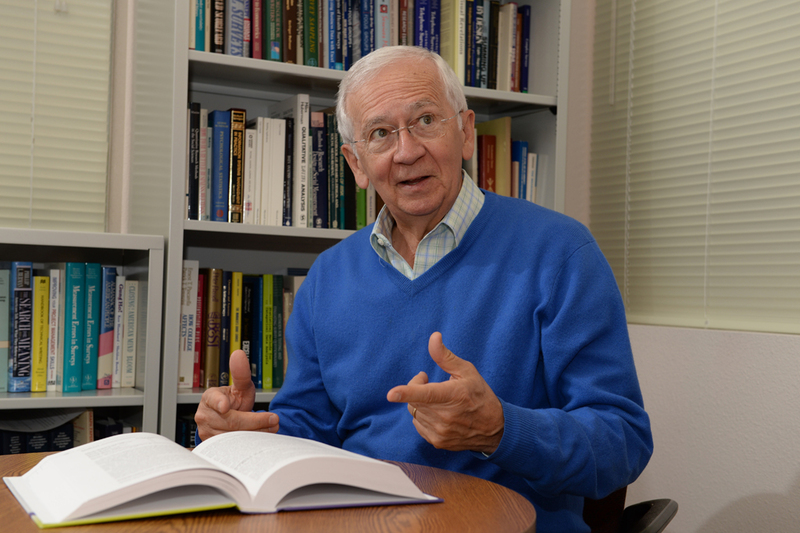 Use of the TDM produced mail and telephone response rates of 60-70% from most populations (Dillman, 1978). During the 1980’s and 90’s the TDM was extensively revised as a result of widespread use, experimentation and changes in technology, including extensive computerization and emergence of the Internet. It was also rethought from the standpoint of applying somewhat differently to differently survey situations, for example, government sponsorship, surveys of businesses, and household vs. clientele populations for which the use of different procedures were likely to affect perceptions of costs, benefits and trust. The TDM was also shifted away from a response rate focus to an explicit focus on simultaneously reducing four dominant sources of survey error, i.e. sampling, coverage, measurement and nonresponse. It was recast as the Tailored Design Method (instead of Total Design Method) to emphasize that to some extent surveys needed to be designed somewhat differently in order to produce high quality survey results. The second edition appeared in print in 2000. Revisions of The TDM continue to be made. 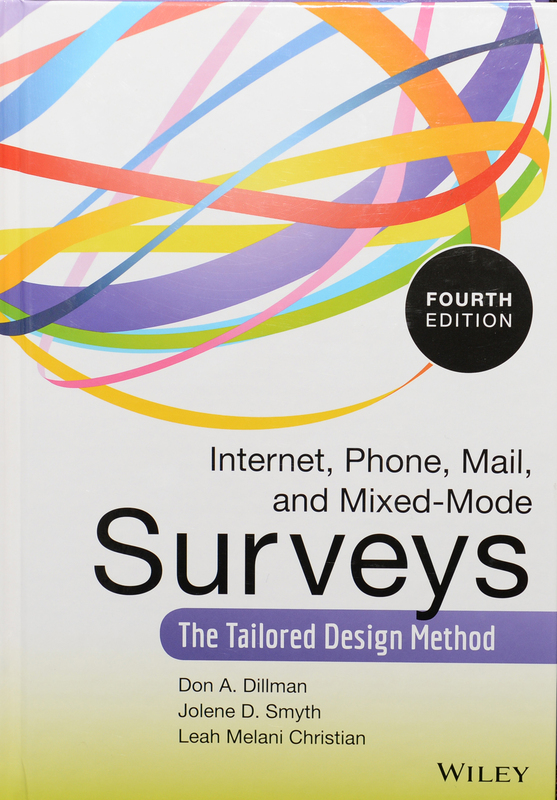 The third revision (a 75% revision of the 2000 edition) appeared in 2009, and emphasized scientific advancements in understanding why visual (mail and web) surveys often produce different results than aural surveys (telephone and in-person). The fourth edition, published in August, 2014, is the first edition to integrate mixed-mode designs,internet data collection and visual vs. aural design concepts throughout the book. It also brings telephone back into the data collection mix, focusing in particular on its important role for designing certain mixed-mode surveys. Social exchange concepts, which have been significantly updated to take into account the predominant rapid-fire asynchronous communication that now dominates societies throughout the world and continues to provide theoretical guidance for producing effective survey designs. Dillman, Don A. 1978. Mail and Telephone Surveys: The Total Design Method, 1978. John Wiley: New York. Dillman, Don A. 2000. Internet and Mail Surveys: The Tailored Design Method, 2000. John Wiley: New York. Dillman, Don A., Smyth, Jolene D., Christian, Leah Melani. 2009. Internet, Mail and Mixed-Mode Surveys: The Tailored Design Method, 3rd edition. John Wiley: Hoboken, NJ.